This book is like a hug from a friend when you need it most: It’s both a reminder that it’s normal to feel things deeply and a companion for actually feeling better. 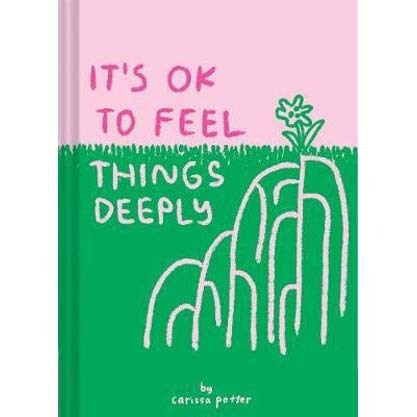 With tons of empathy and a touch of humour, artist Carissa Potter offers wisdom on how to move through difficult emotions with practical steps to kickstart the process – ranging from soaking in a tub and having a good cry to talking to houseplants or hosting a private dance party. Illustrated in vibrant neon throughout, this boldly authentic little book is full of genuine support for pushing through life’s tough times or whenever a little love is needed.